Jumping into the most recent release of Trifacta, you might notice right away that everything looks a little different from what you’re used to. We’ve completed a design refresh across the app, starting from first login and extending to page structure and layout throughout the product. These updates will make it easier to get off the ground with Trifacta, find your way around the tool, and move between stages of the workflow. 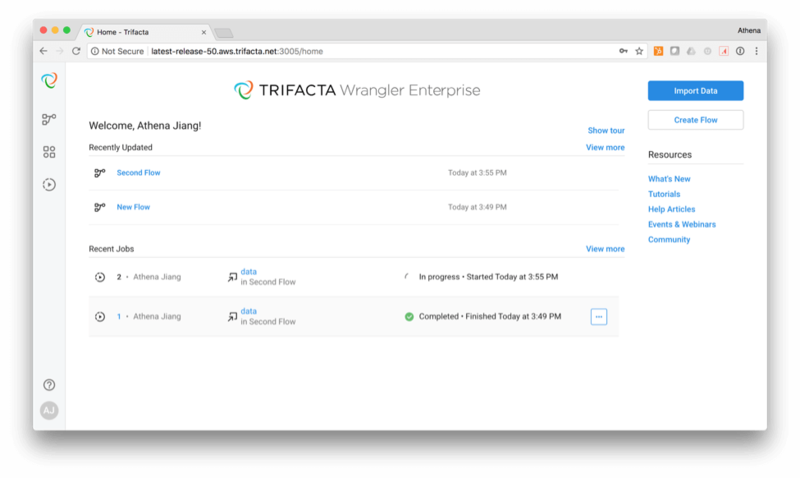 When you log in to your Trifacta account, you’ll now arrive on the Home page, a quick access point to the most common tasks in Trifacta. It’s easy to import new datasets and create a new flow directly from Home. It’s also easy to jump back into flows you’ve been working on recently and check the status of the jobs you’ve last kicked off. 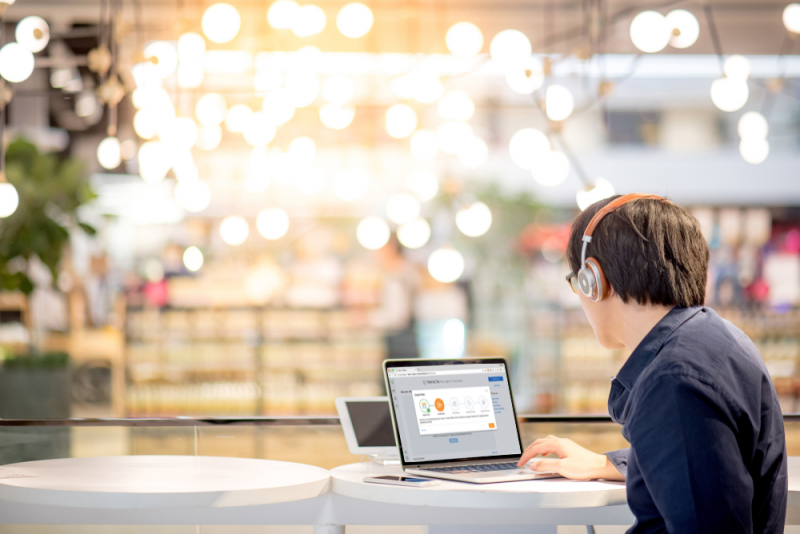 For first-time users, the Home page features our brand new overview onboarding tour, which provides an end to end walkthrough of preparing data in Trifacta. A sample dataset is included in the walkthrough to illustrate key tasks that Trifacta can accomplish. You can exit and enter the tour at any time, so feel free to try out what you’ve learned on your own datasets, then return to explore additional concepts. By the end of the tour, you should be all set to wrangle away – with the help of our tutorials and other community resources, also featured on the Home page. We’ve moved from a horizontal navigation bar to a global left-side vertical navigation layout. This frees up valuable screen real estate, in particular allowing you to see more content on the Flow View and Transformer pages. Other navigation elements are sprinkled throughout existing pages, making it easier to switch between flows and recipes as you iteratively develop your data prep logic. As our users ramp up their work on Trifacta, we expect their needs to become increasingly demanding. In upcoming months, look out as we introduce new ways to organize and categorize your work. We’ll also continue to find places to surface the most important information for users on the Home page, leveraging intelligence frameworks and personalized history. These features are immediately available in our Wrangler Pro & Enterprise editions. In the coming weeks, we’ll be upgrading the free Wrangler edition so everyone will be able to take advantage of these usability improvements across the product. If you’d like to get your hands on it earlier, schedule a demo with our team.